A former treasurer of several community organisations in Hastings and St Leonards has appeared in court charged with four counts of fraud. 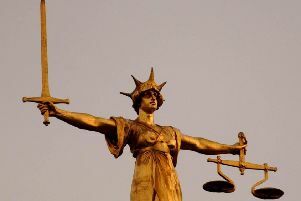 Paul Roger Smith, 74, of Addington Grove, Lewisham, London, entered no pleas to four charges of fraud by abuse of position when he appeared before Hastings magistrates this morning (Wednesday, April 10). It is alleged that between October 9, 2013 and December 25, 2016 Mr Smith, while treasurer of Hastings and St Leonards Museum Association, abused his position as treasurer by committing fraud, intending to keep £12,276.62 for himself. The prosecution also alleges that Mr Smith, while treasurer of the Castle Ward Forum, committed the same offence between March 31, 2014 and April 1, 2017, intending to keep £7,316.49 for himself. Mr Smith is also accused of committing fraud by abusing his position as treasurer for Hastings and Rye Liberal Democrat Association, intending to keep £4,250.16 for himself. The allegation in this charge dates from between February 15, 2013 and March 5, 2017. The prosecution also alleges that Mr Smith abused his position as treasurer of St Leonards Methodist Church between October 2, 2014 and February 10, 2017 by committing fraud and intending to keep £12,408.15 for himself. Mr Smith must appear at Lewes Crown Court on Wednesday, May 8.